Is your hot air cold and your cold air hot? Sounds like you’re air conditioner is on the fritz, and you’re in desperate need of an air conditioner repair service! Every air conditioner, whether it’s brand new or a decade old, needs to be serviced regularly. Our professional HVAC technicians will make sure that your air conditioner and furnace are working properly to keep your home or business at the optimum temperature. Never spend another uncomfortably cold winter or unseasonably hot summer when you consider Irish Heating and Air your go-to furnace and air conditioning service provider. Has your furnace been giving you grief lately? Our furnace technicians in Mountain House will quickly remedy your heating and air problems. 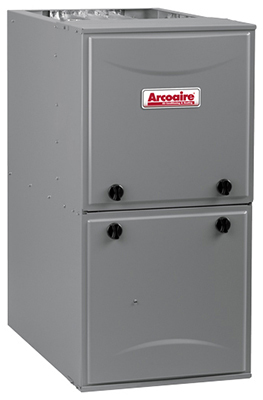 We are experienced with virtually every brand of furnace, from Arcoaire and Bryant to Carrier and Night and Day, which means our heating repair team can fix most furnace issues within minutes. Because we encounter these issues so often, we are able to fix them with our eyes closed (well, almost!). We can also set you up with a regular maintenance plan to help prevent future more costly repairs, and to nip problems in the bud. 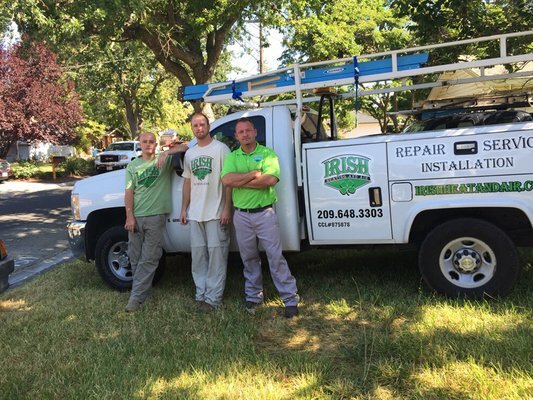 If you’re looking for an honest, reliable, and knowledgeable air conditioning repair company in Mountain House, look no further than Irish Heating and Air. Are you looking to recommend our services to a friend or family member outside of Mountain House? That’s great! Lucky for you (and your friends), we offer our excellent services to other cities in the surrounding area. Never worry about who to call when you need quality A/C repair services in Mountain House or throughout San Joaquin and Stanislaus counties. Visit our service area page to learn more. When you save our phone number to your contacts, Irish Heating and Air will always be there to assist you with your air conditioning and furnace needs. We’re ready to start helping you live more comfortably today.